Now in its 19th year, this will be the first time the annual event has been held in Northern Ireland as this year’s Awards ceremony, presented by Mark Radcliffe and Julie Fowlis, will take place at the Belfast Waterfront on Wednesday 4th April. Accolades will be awarded in the following categories: Folk Singer Of The Year, Best Duo, Best Group, Best Album, Horizon Award, Musician Of The Year, Best Original Track, Best Traditional Track and BBC Radio 2 Young Folk Award. The Album of the Year category is open for public vote now on the BBC Radio 2 website and closes on the 16th of February. 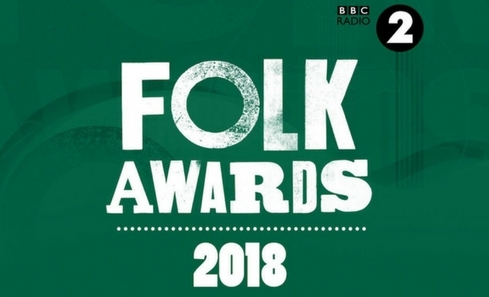 Three out of four nominees in the Folk Singer of the Year category are female Scottish artists with Karine Polwart, Julie Folwis and Siobhan Miller all up for the award. Polwart is also nominated in the album of the year category for A Pocket of Wind Resistance with Pippa Murphy; while Siobhan Miller gets a second nomination in the Best Traditional Track Category for Bank of Newfoundland, taken from her Creative Scotland funded 2017 release, Strata. The evening will welcome an array of special guests and will include performances from Cara Dillon, Paul Brady, Eliza Carthy & The Wayward Band and Lankum. An emotive and captivating performer, Dillon is celebrated for entwining traditional and contemporary elements in her music and has long been admired for her exquisite voice. Born in Belfast and raised in Strabane, singer and multi-instrumentalist Paul Brady is one of Ireland’s best-loved songwriters and enduringly popular artists, as well as one of the finest interpreters of traditional song. Eliza Carthy MBE has been one of the stand-out voices in English folk music for more than 20 years. A natural storyteller and inimitable singer, Eliza combines grit and power with grace, and restlessly explores the potential of the folk genre. Lankum, the band formerly known as Lynched, are a Dublin group making a big impression wherever they go. They combine unfiltered singing, instinctive playing and obsessive research to create vital music which reflects life in past and present Ireland. Last year’s event saw performances by American roots-rock musician and songwriter Ry Cooder, who sang Jesus On The Mainline, and British singer-songwriter Al Stewart, who performed his 1977 song, On The Border. The evening also saw spectacular performances from Afro Celt Sound System, Shirley Collins MBE and Billy Bragg, plus folk icon Woody Guthrie was inducted into the Radio 2 Folk Awards Hall of Fame. Tickets are now available from bbc.co.uk/radio2.